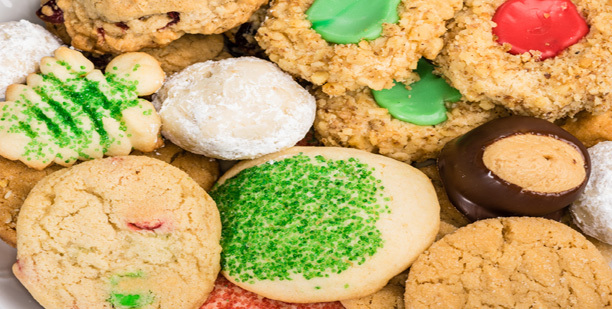 Now with the holidays approaching, it is just a matter of time until you get that highly anticipated cookie platter. If you are someone who is in orthodontic treatment, there are just a few things to keep in mind to prevent any breakage to your brackets or wires. Obviously, braces do not mean that you need to deprive yourself from all of the holiday deserts, but it is recommended to follow the FOUR trigger words “Hard”, “Sticky”, “Chewy”, and “Crunchy”. If one or several of these words apply to a dessert, it would be wise to consider another treat to avoid harm to your braces. Excessive breakage has many consequences to one’s orthodontic treatment. For example, broken brackets or ligatures can result in unnecessary or excessive movement to the teeth, prolonged treatment time, patient discomfort, and the need for extra appointments (just to name a few). Listed below are a few of the common holiday treats that should be avoided, and some safe alternatives that you may enjoy. If you have any questions, please feel free to contact our office. Here is a wonderful brace friendly recipe that you may want to try this holiday season. Cover and refrigerate for 2 hours to firm up so that you can roll the batter into balls. Roll the chilled batter into tablespoon sized balls and then roll them in confectioner’s sugar. The cookies will remain soft and gooey. Cool completely and sprinkle with more confectioner’s sugar, if desired. Makes about 2 dozen cookies. Note: You can substitute the chocolate cake mix for any flavor that you may prefer.